As soon as school starts, I lose touch with many friends until I resurface again in May when school ends for the year. This year, I am going to make more of an effort to be in better contact. It starts today with a Sunday family lunch/dinner. One of my mom friends from swim team is having us over this afternoon for late lunch/early dinner. It is a perfect time. I can still get all of my Sunday chores finished. We will be home in plenty of time to get kids ready to go back to school tomorrow and be in bed at a reasonable time, and I don’t need a babysitter since the kids are included. My contribution to this afternoon’s linner is a tomato pie. What are other easy ways to stay in touch with adult friends during the school year? Do you feel like you disappear when after school activities and school projects start? Cook pie crust in a 9-inch pie pan at 450 degrees for 20 minutes or until browned. Remove from the oven and let cool. 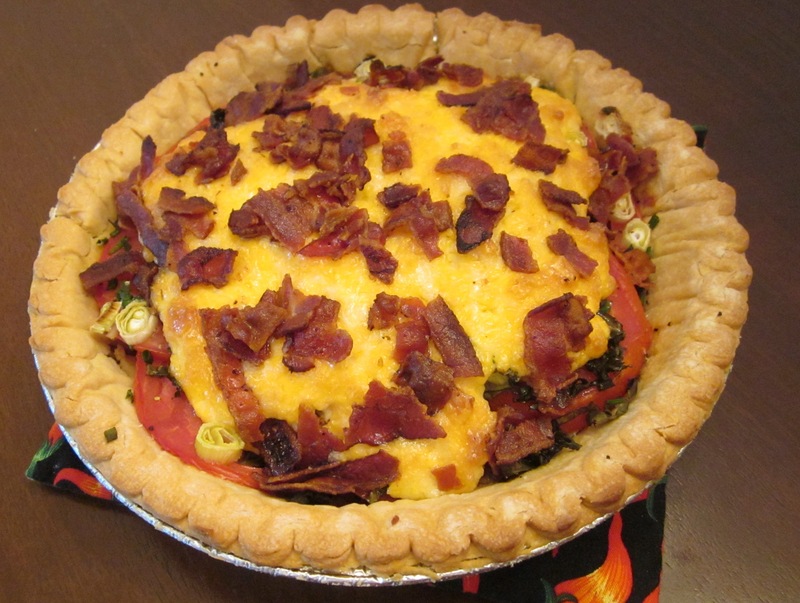 You may need to put uncooked beans or other pie weights in the pie crust to keep it from puffing up while it cooks. Turn the oven down to 350 degrees after the pie shell is finished. 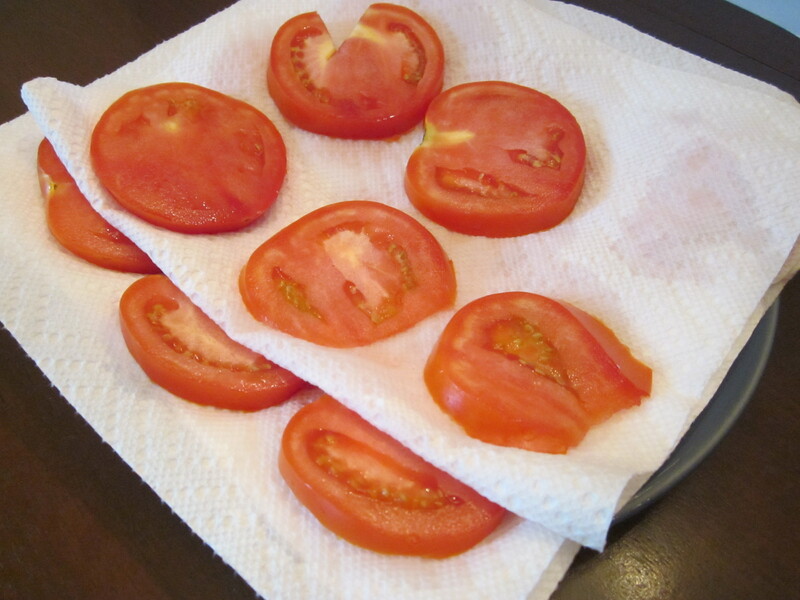 While the pie crust is baking, cut tomatoes in slices and let drain on paper towel for 30 minutes. 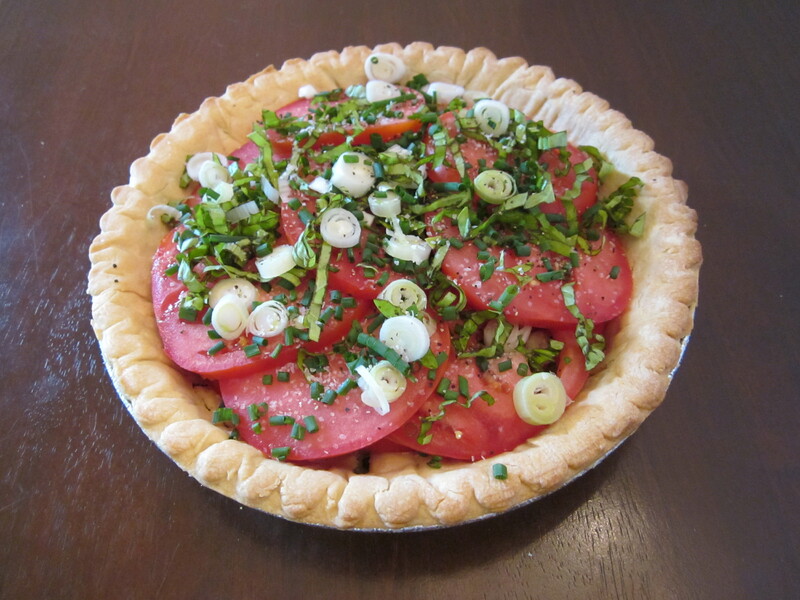 In cooked pie shell, layer tomatoes, basil, chives, and green onion. Sprinkle with salt and pepper and repeat. 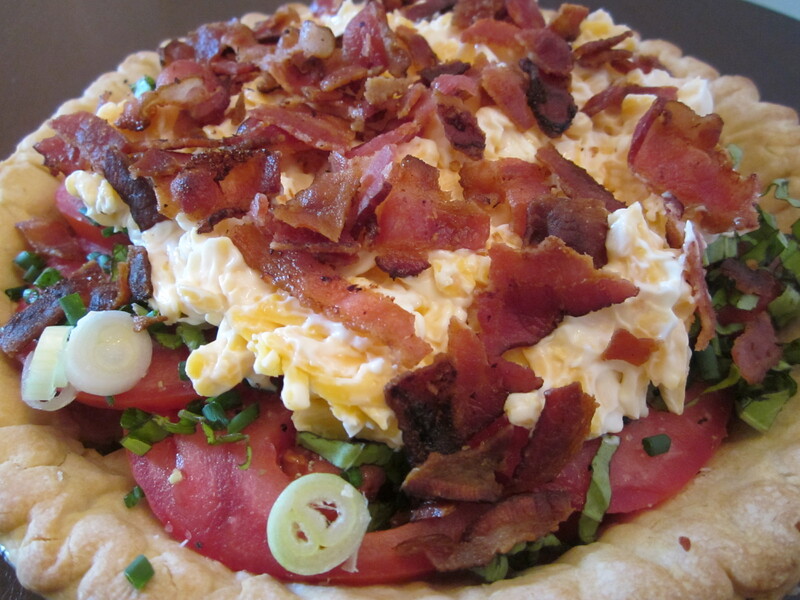 Mix mayonnaise and grated cheese and top the pie with the cheese mixture. You don’t have to spread the cheese mixture too much. Just dollop on the center and push down with the back of a spoon. It will spread as it bakes. Sprinkle the bacon bits on top. 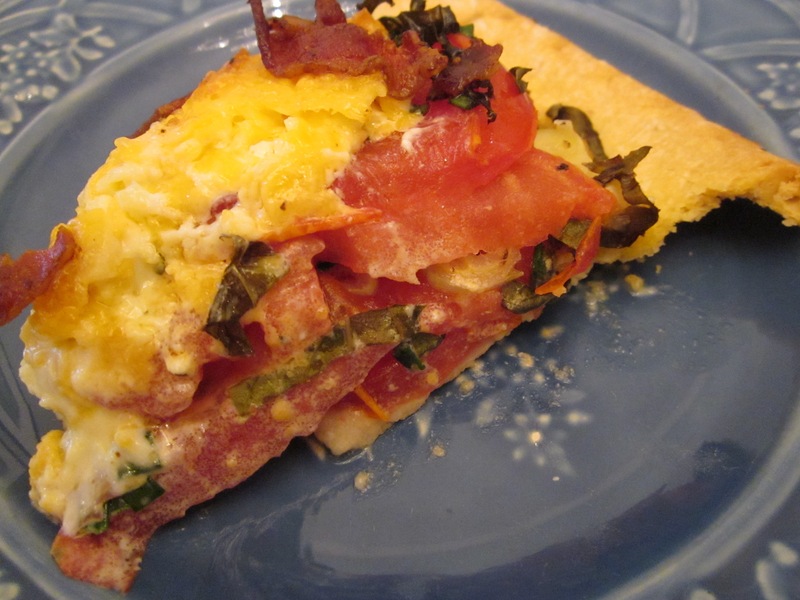 I would like to give a shout out to the 30306 Book Club without which I would not have this tomato pie recipe. Many years ago when I was fun and single, I had an amazing book club in Atlanta. This recipe is from that book club. I miss you!